Home Africa Link	The African Diaspora around the world and in Australia can do more for the development of Africa than just remittances. 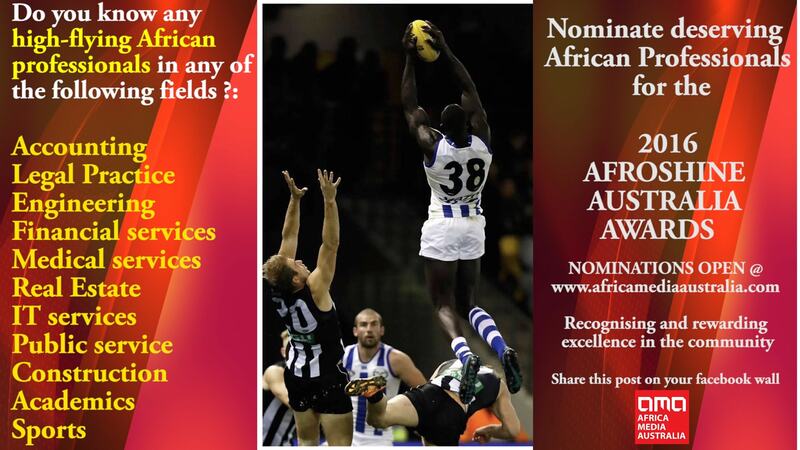 The African Diaspora around the world and in Australia can do more for the development of Africa than just remittances. 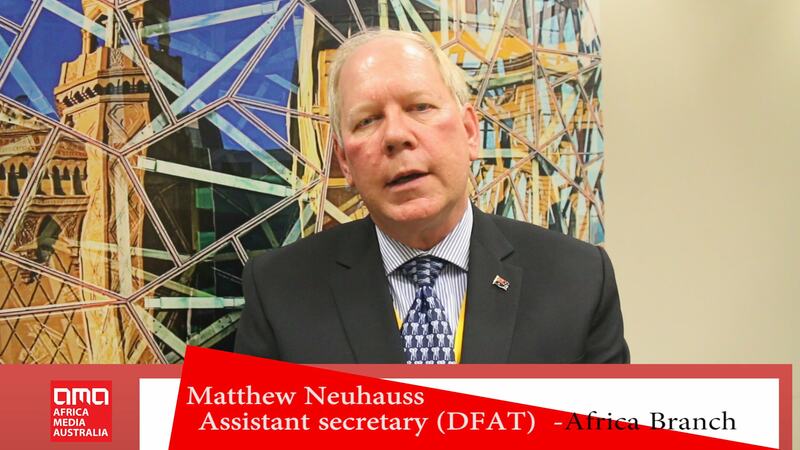 Matthew Neuhaus is the Assistant Secretary, Africa Branch, of the Department of Foreign Affairs and Trade and former ambassador to Zimbabwe and the DRC. 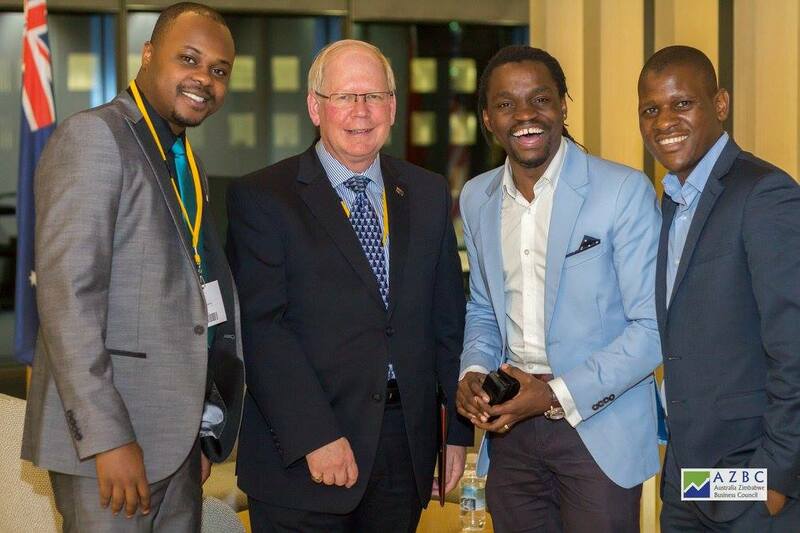 Mr Neuhaus addressed a group of Africans who attended the launch of the Australia Zimbabwe Business Council (AZBC) on Friday 29th July 2016. Mr Neuhaus was interviewed by AMA’s Clyde Sharady and spoke about the role of the African Diaspora in contributing to Africa’s development, as well as the relationship between Australia and Africa, amongst other things. 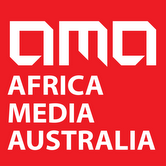 AMA: What role can the Diaspora play in strengthening the relationship between Australia and Africa? AMA: What is the Australian government currently focusing on in its relationship with Africa. M.N: Our focus is very much in economic development. It’s often not understood, but mining companies in particular have invested some 30 billion dollars in projects in Africa. We want to see that economic relationship diversified. A lot of the world is engaging with Africa with its growth. Yes, there are risks, but there are also a lot of potential, particularly in diversifying. Education is another area in economic relations, also contribute to skills development in Africa, we see IT services as another area of interaction increasing between Australia and Africa and we want to encourage innovation whether it’s in energy production or other new developments. AMA: Many Australian still see too much risks in Africa even though business is booming over there, do you the discourse needs to change from risks to opportunity? M.N: Yes, the discourse needs to change, but it will change best if it’s Africans themselves who know Africa and who are working with Australian partners take the lead and I think there is more that need to be done about opening the ways to opportunities and the Australian government is doing its best , particularly here and I was highlighting the forthcoming Australian Down Under Conference, from 5-9th September in Perth and the Australian Africa week in Perth, and in addition to mining, this year includes an Oil and Gas conference, Power and Infrastructure conference, the Australia Africa University Network and another academic conference bringing together mining and agriculture, so it’s becoming more and more diverse and the Australian government putting its support behind that actively, a private sector led initiative, but government supported. AMA: What is your message to African-Australian who are thinking of playing a more active role in investing in Africa and promoting business between Australian and Africa? M.N: I really want to encourage them to believe in Africa. When I go to Africa, its extraordinary how China, India, Turkey, so many other nations are investing and engaging economically with Africa and it’s important that Africans themselves take the lead and I really also want to encourage the Australian African diaspora who have learned a lot of skills form their time in Australia and also their understanding of financial markets can help generate investment funds, which Africa needs but also encourage the right sorts of policy. I encourage them to take the lead, its Africans who will ultimately be the ones who really develop their continent and make it the prosperous continent it should be. AMA: What sorts of support can African-Australians get from the Australian government in terms of promoting business between the two continents? M.N: We do have Austrade organisation that very specifically is helping Australian business engage around the world and in Africa as well. So for those who are operating out of Australia that’s a government instrumentally that is specifically there to support and assist them. Also as I said as well, our embassies on the ground are also doing their bit to help. And we also think that some of our Australian awards education programs which are focusing on areas like agriculture, mining, good governance development, there is a lot of discussions around policy and governance development, will play their parts as well. Our embassies and high commissions are growing in number and strengths are supporting Australian businesses, the companies that are engaging with Africa. M.N: My message is about the importance of diaspora in Africa in playing a leading role in engaging economically. But I also think that organisations like AZBC and their counterpart organisation back in Zimbabwe (Zimbabwe Australia Business Council), which the embassy in Harare is very much engaged with, I think these groupings of the diaspora in Australia’s case and also back in Zimbabwe are very crucial. Also our alumni networks bring together people who have been educated in Australia to help build economic relationship with Africa. From now on I won’t be trusting any Muslims or Christians, here is why ! What do Museveni and Magufuli have in common?